By Kristine Kollasch. 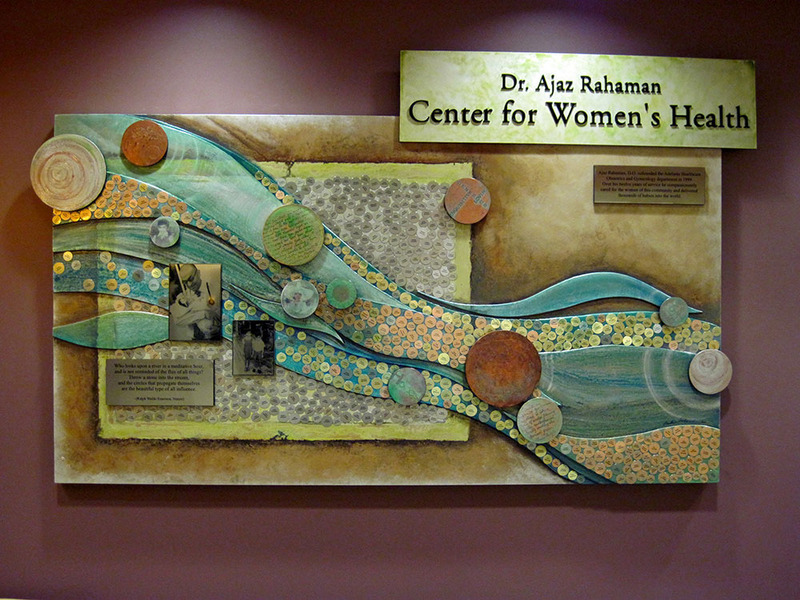 Dedication to Doctor at Healthcare Facility. Mixed Media Mural.